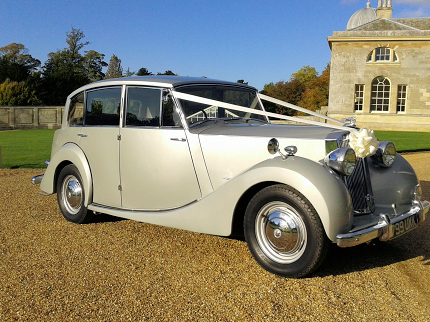 The silver Triumph Renown, with its fifties razor edge styling is a very imposing car. 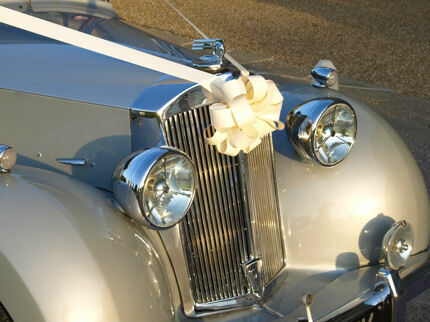 Opulent feature adorn the interior in a way that only the finest of traditional coach built British cars can. The exterior has lots of polished chrome to compliment the unique styling. 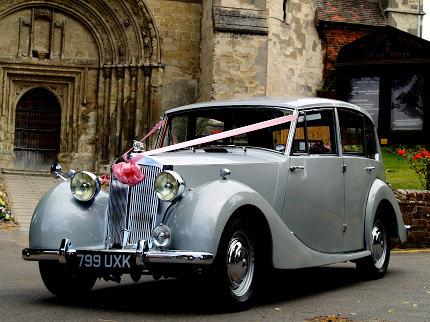 Access to the rear is very good making this an ideal choice of bridal car. Due to the small numbers of cars produced it is unlikely you find another example. 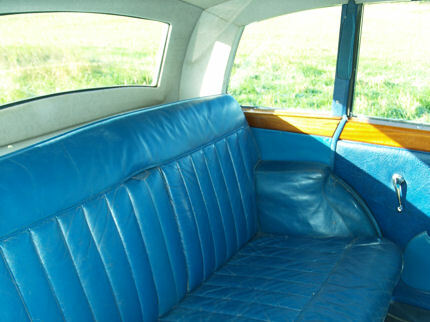 This car was also recently used in the Miss Marple episode “Endless Night”.